The Union Health Ministry has sanctioned Rs. 52.00 crore for Jammu and Kashmir for completion of health infrastructure taken up in the State under the National Rural Health Mission. An official spokesman said under the flagship programme, the state government has already taken up execution of several hospital buildings in the State. “The decision in this regard was taken today at a high level meeting of Central and State officers held at New Delhi,” the spokesman said. The meeting was chaired by Union Minister for Health and Family Welfare Ghulam Nabi Azad. The J&K’s Minister of State for Health (Independent charge) Shabir Ahmed Khan and Mission Director NRHM, GOI, Anuradha Gupta also attended the meeting. “The nod for release of this amount was given by the Union Health Minister after receiving the assurance from the State Health Minister that all the under execution projects in the State would be completed within stipulated time frame,” the spokesman said. Shabir assured the Union Ministry that utilization certificates of the projects would be ensured in time for release of next installment of funds. “The State Health Minister gave a detailed brief about the physical and financial achievements registered by the State Government in strengthening and up-gradation of health infrastructure under NRHM in the State,” the spokesman said. The meeting had threadbare discussion on several issues related to up-gradation of health care facilities across the State under NRHM. 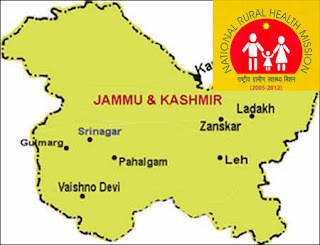 “The State Health Minister demanded allocation of more funds under NRHM to the State Government for setting up new health centers and up-gradation of existing ones in the State, especially in remote and border areas like Poonch, Rajouri, Doda, Kishtwar, Kupwara, Bandipora, Baramulla and Anantnag districts,” the spokesman said. He also sought release of adequate funds for purchase of ambulances besides seeking free medical checkup for disabled children between the age group of 0-18 years.